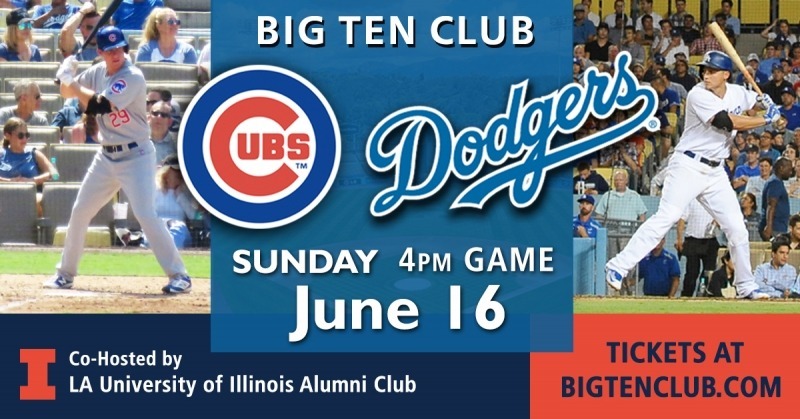 Join LA Illini, Big Ten Alumni, and Friends in the All You Can Eat Section at Dodger Stadium! Seats are in the Right Field All You Can Eat Pavilion section 302 which serves unlimited hot dogs, nachos, popcorn, peanuts, soda, and water. Beer, candy and ice cream are also available for purchase. Food and beverages will be served until the final out of the 7th inning. QUESTIONS? Contact Lisa Winger at illini@winbach.com or call 310-709-3469.